As per a recent study by Accenture, standalone voice assistants, or smart speakers, are one of the fastest adopted technologies in India. Now that’s a pretty strong statement to make, but the fact remains that for the proponents of these assistants (which included the likes of Amazon, Google, Samsung and Apple), these devices act as gateways for users to entrench themselves deeper into the respective ecosystems and services umbrellas. The importance of services can’t really be overemphasised, as Apple’s latest push into streaming indicates. 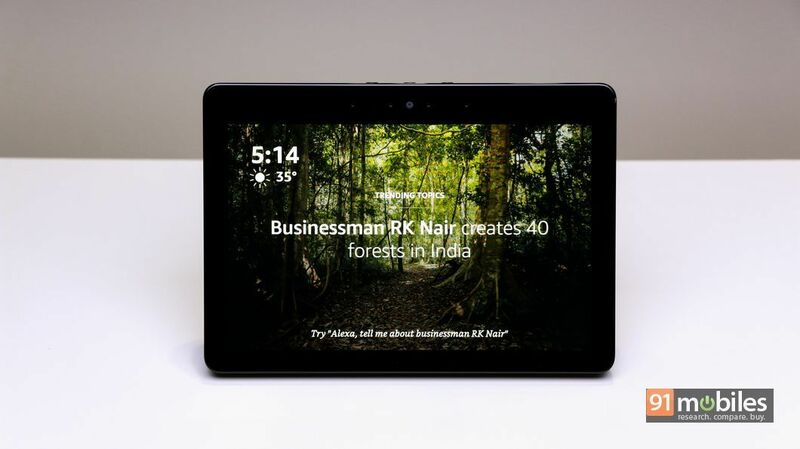 Amazon has been one of the early entrants in the smart speaker space, and its latest offering for India comes in the form of the Alexa-powered Echo Show (2nd-generation). 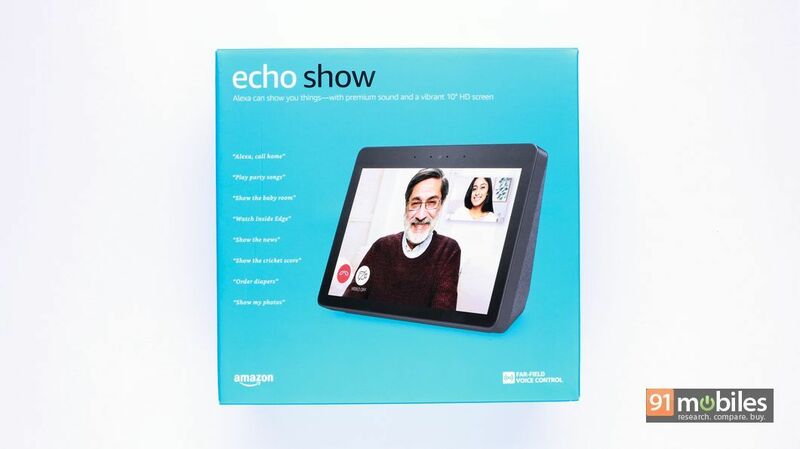 While the first-gen model never made to the country, the new device adds to the existing portfolio of Echo devices, which includes everything from the basic Echo Input (review) to the feature-loaded Echo Plus (review). The Echo Show (2nd-gen) falls in the smart display segment, which is a device category that basically slaps a screen on to a smart speaker. 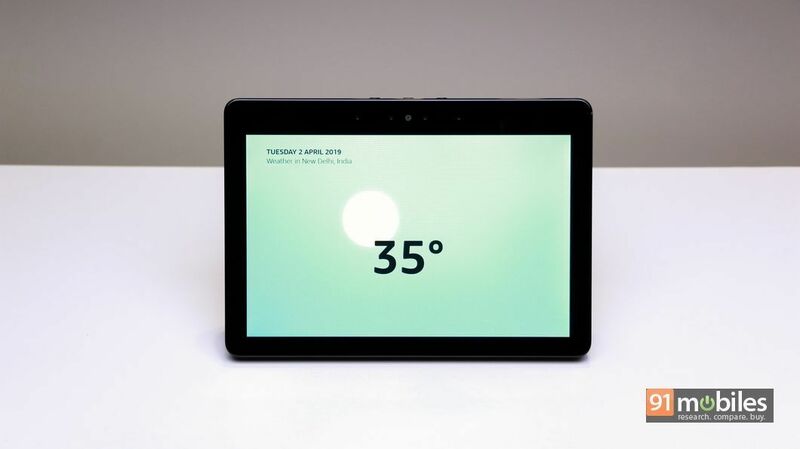 To my knowledge, Amazon is the first to introduce this category in India, given that the likes of the Google Home Hub (in pics), Facebook Portal, and Lenovo Smart Display haven’t been launched here officially yet. 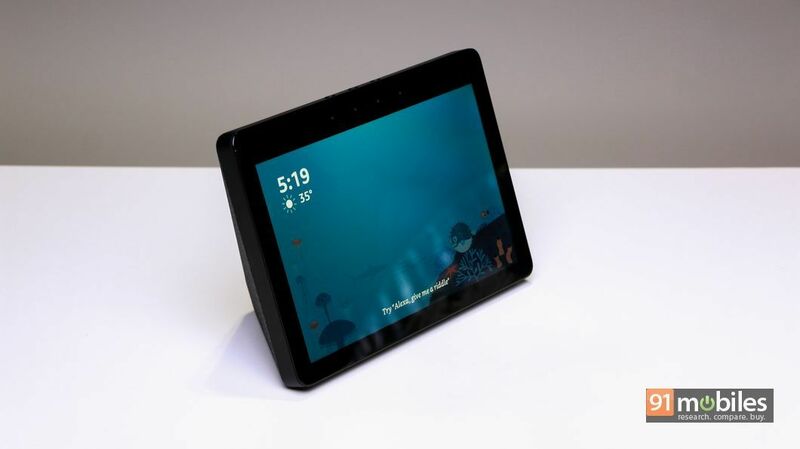 The Echo Show isn’t much to look at, frankly… especially the black unit I got to try out. From the front, it’s essentially a 10-inch flat display, while the rear is a wedge-shaped, fabric-covered speaker unit. There are wide bezels around the display, and above it you’ll be able to see the 5MP front-facing camera that enables video calling. The camera is flanked by two microphones on either side, and there are four more of these on the top of the unit, making up the key component for the Echo Show’s far-field voice recognition. There are three physical buttons on top too – the DND key that effectively puts Alexa to sleep and shuts off the mics and camera, and two to control volume. 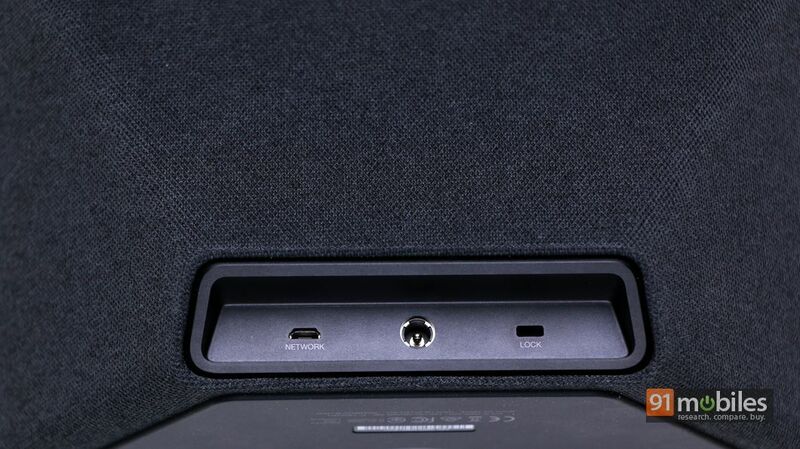 Right at the back, you’ll find a panel that holds the port for the bundled 30W charging adapter, a micro-USB port labelled ‘Network’, and one for a Kensington lock. 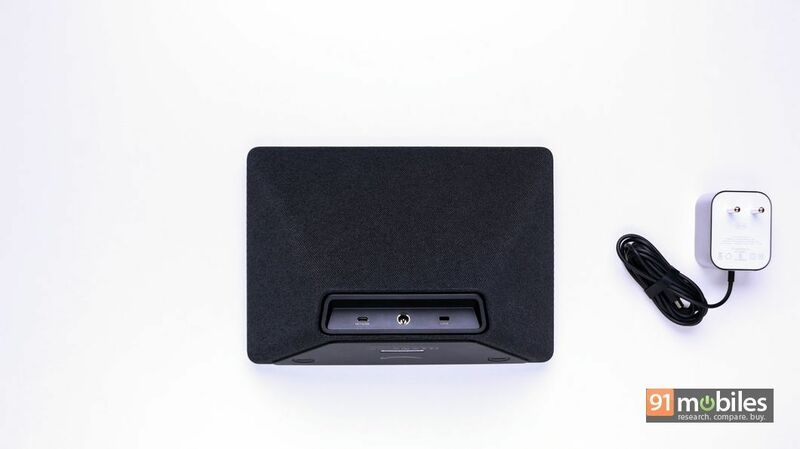 The network port can be used (with a suitable USB-to-Ethernet adapter), to hook up the device to a wired LAN in case you desire a more stable connection than what you get over Wi-Fi. In terms of features and capabilities, think of the Echo Show as a supersized, blown-up version of the Echo Spot. Sure, the cutesy Echo Spot is designed more like a smart bedside clock than a smart display, but the basic feature-set is essentially the same. 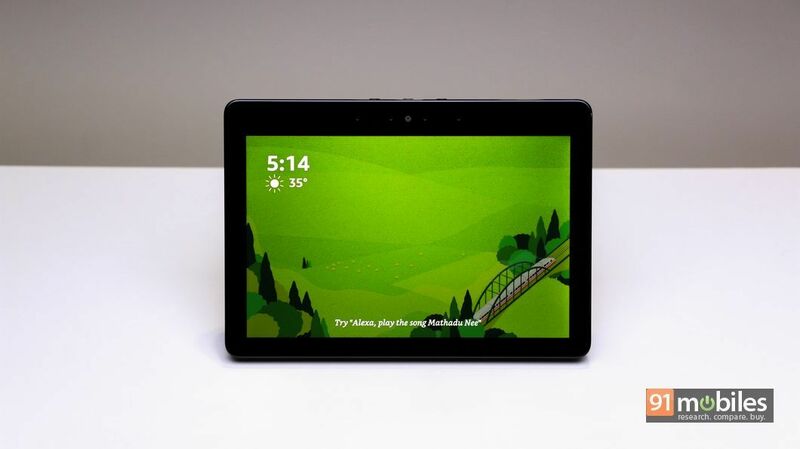 Obviously, the Echo Show’s 10.1-inch display makes it much better for watching videos on, and that’s really one of its mainstays over and above the Echo Spot. 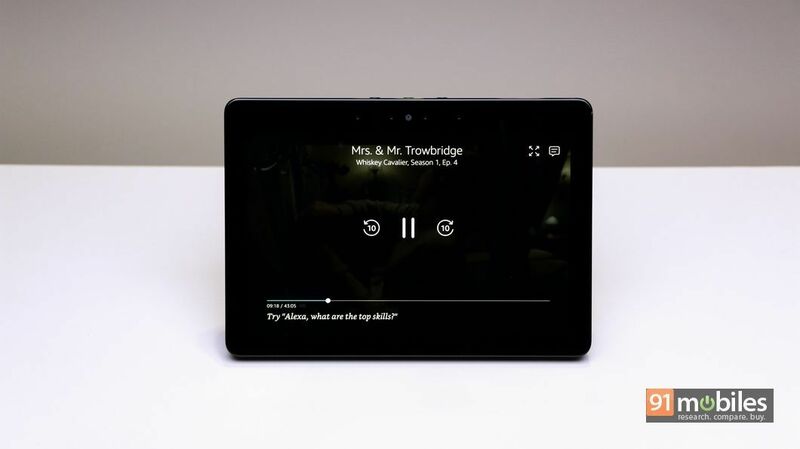 Setting up the Echo Show is simple, and you don’t even need the Alexa app for this. After you power it up, you can simply use the touchscreen to enter your Wi-Fi details, and then login with your Amazon credentials to pair it up with your account. 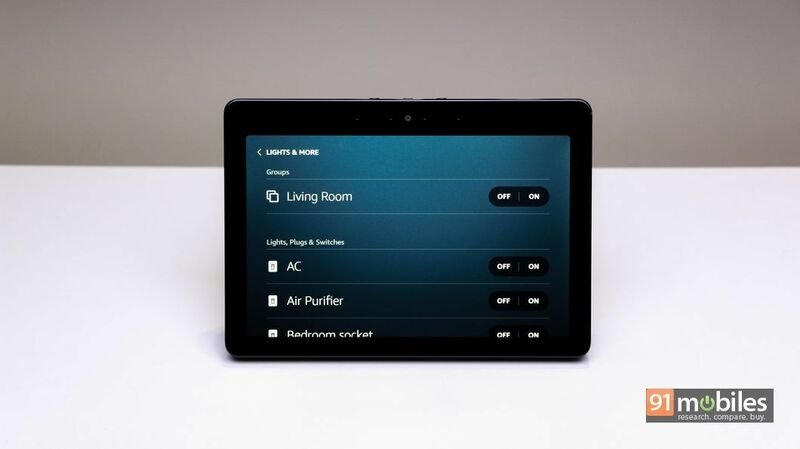 The touchscreen even gives you an interface that lets you control all your smart home devices via touch in case you don’t want to use voice for some reason. 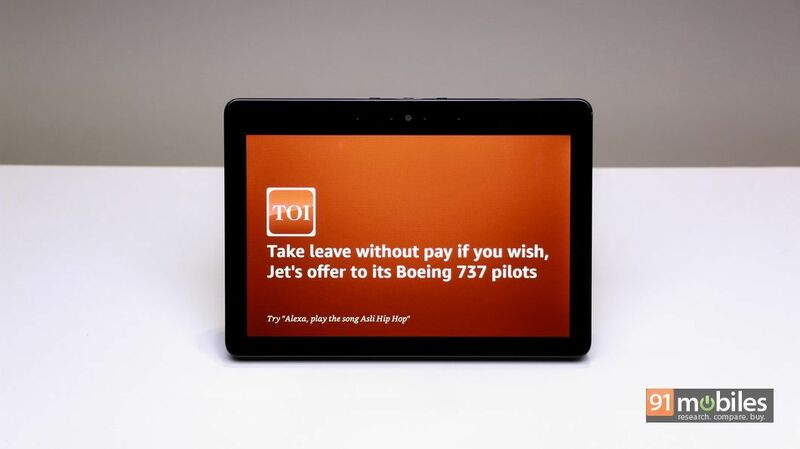 The basic functionality of the Echo Show is driven by Alexa, as you might expect, and after you utter the magic word, you can get the device to play music (from Amazon Music, Hungama, JioSaavn, Gaana and TuneIn), perform voice searches, get news updates, check weather, set reminders, make shopping lists, and even buy stuff off the Amazon India website using voice. 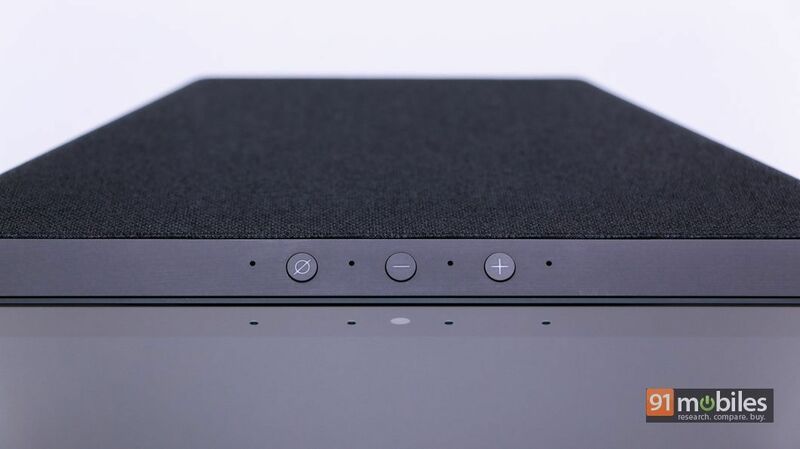 In this respect, it’s hardly any different from the other Alexa-powered smart speakers, including the basic and affordable Echo Dot (review). Also at your disposal are the thousands of Alexa Skills, and you can enable the ones you think serve your requirements best. For the uninitiated, Alexa Skills are akin to apps, and to use them, you just need to enable the ones you like via the Alexa app. Many of the skills, like those for smart home gadgets and services like Uber, Zomato, etc, need you to sign into your respective accounts with your credentials. I won’t get into the details of the various skills available (take a look at the entire lot here), but there’s a lot to choose from, with options spreading across a bunch of categories, covering games and trivia, food and drink, kids, lifestyle, novelty and humour, music and audio, news, and smart home. One downside to enabling a whole bunch of skills is that it could become a pain to remember the ones you’ve enabled and the specific launch commands for each. 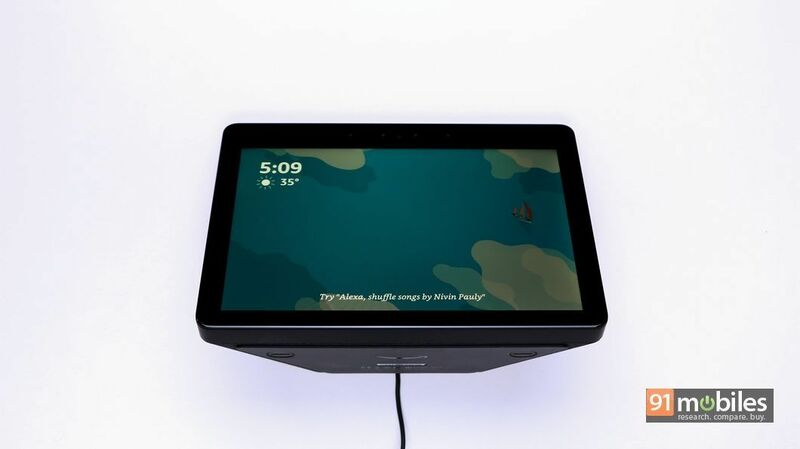 The Echo Show (2nd-gen) is no slouch when it comes to audio prowess, featuring 2-inch drivers, a passive bass radiator and Dolby processing, promising crisp sound. This is critical, since playing music handsfree is one of its main use cases. And based on my brief usage, music played on the device does sound quite good. 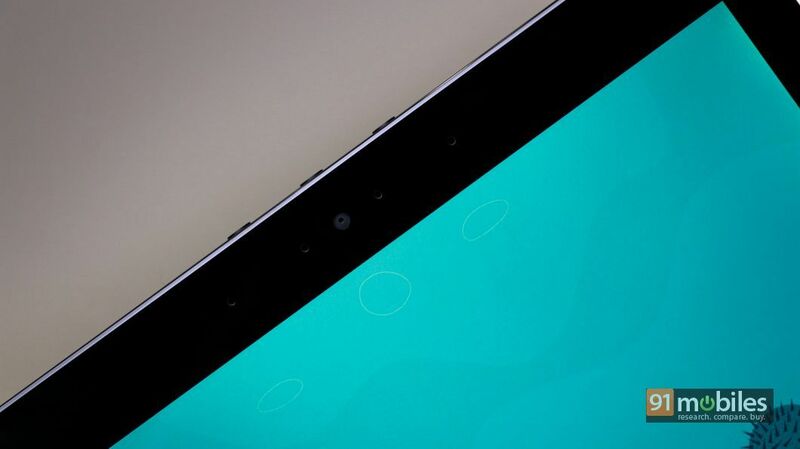 The 10-inch HD display looks quite capable too. 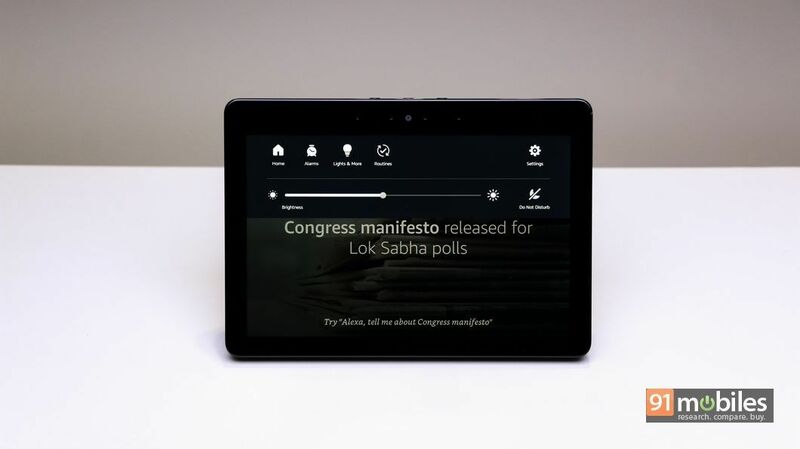 The screen adds a new visual dimension to the usage, and apart from enabling video calls, also lets you play videos off Amazon Prime, display feeds from Alexa-enabled cameras, watch movie trailers from services like Hungama, view news updates from NDTV etc. You can’t play YouTube videos directly, but you can still use the built-in Firefox and Silk browsers to view web videos (including YouTube). Another highlight of the Echo Show is the built-in Zigbee hub. 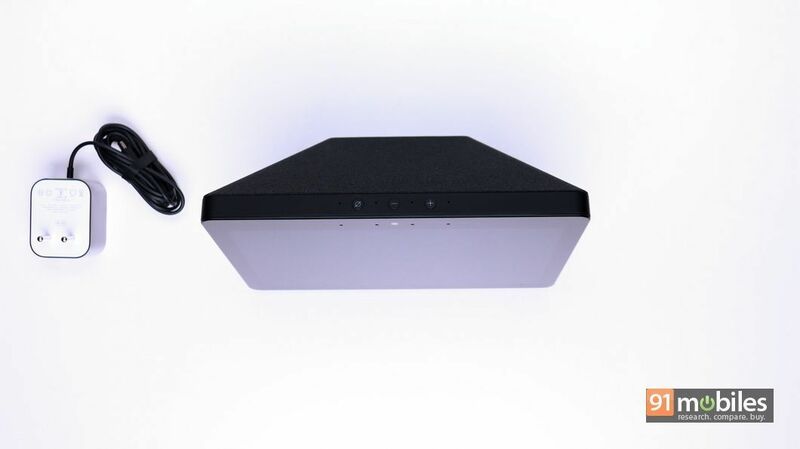 The same hub can be found inside the Echo Plus as well, and lets you control compatible smart home devices (like the Philips Hue smart lights) without requiring a separate hub. For its asking price of Rs 22,999, the Echo Show (2nd-gen) doesn’t come cheap, but Amazon is throwing in a free Philips Hue White Ambiance smart bulb to sweeten the deal for a limited time. 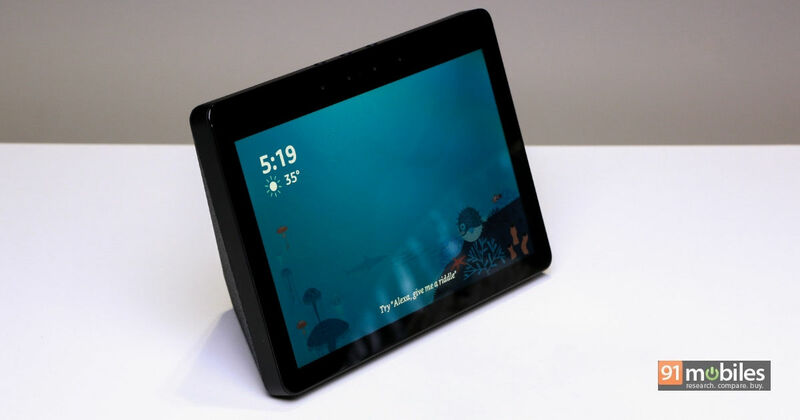 I’m going to be using the Echo Show over the next few days to figure out how the addition of a decent-sized screen helps the overall user experience and if it can make me love Alexa even more. Watch this space.